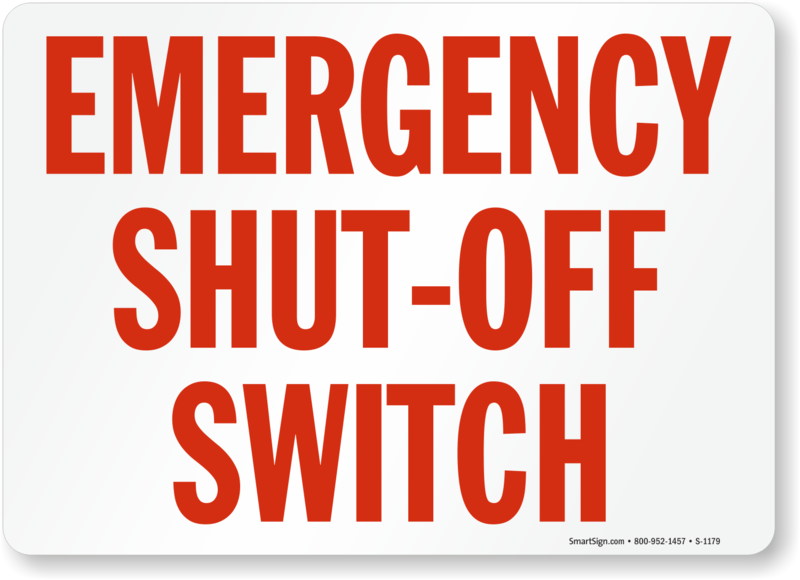 In an emergency, what will really help is a clearly marked power shut-off switch amongst 100 others found in control rooms. 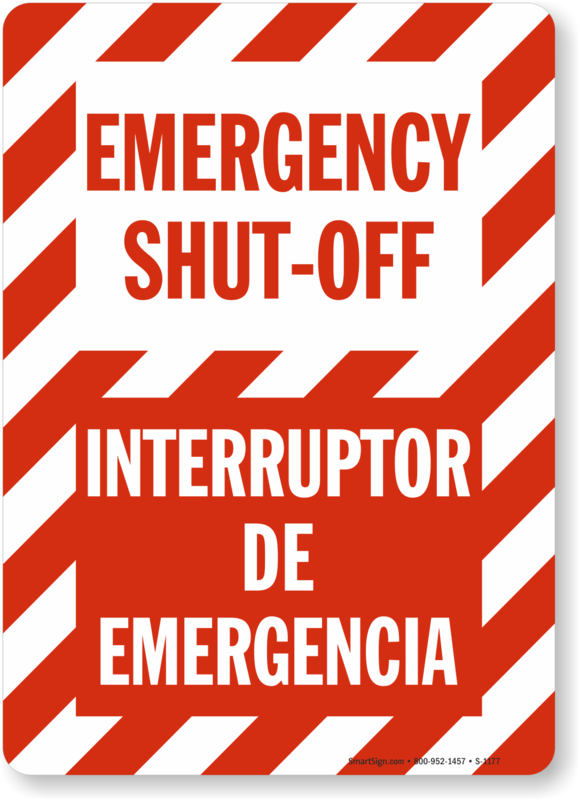 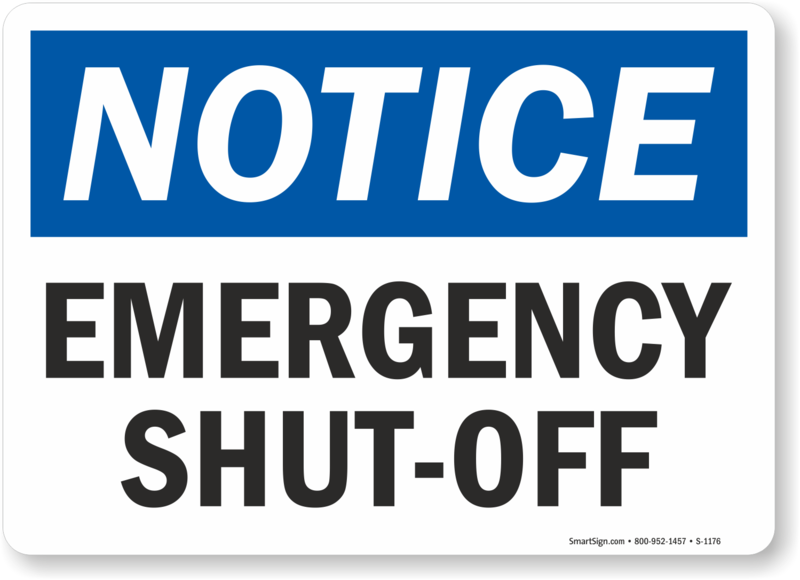 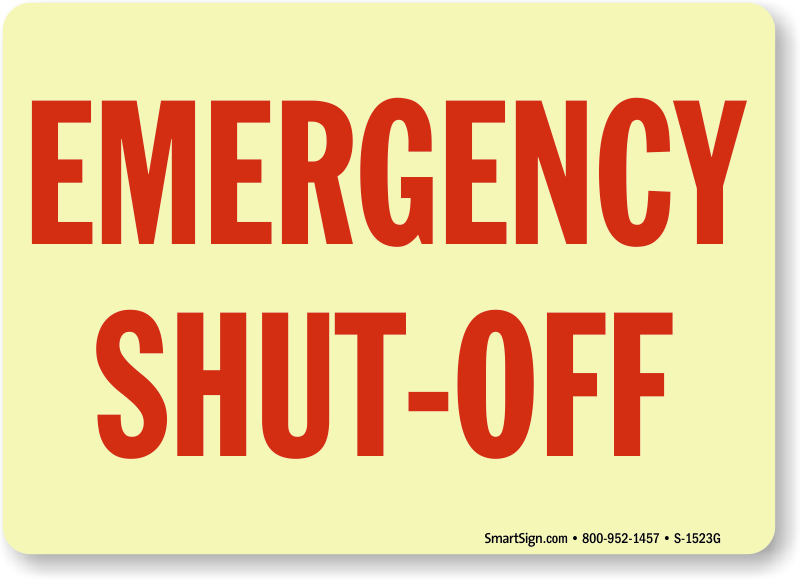 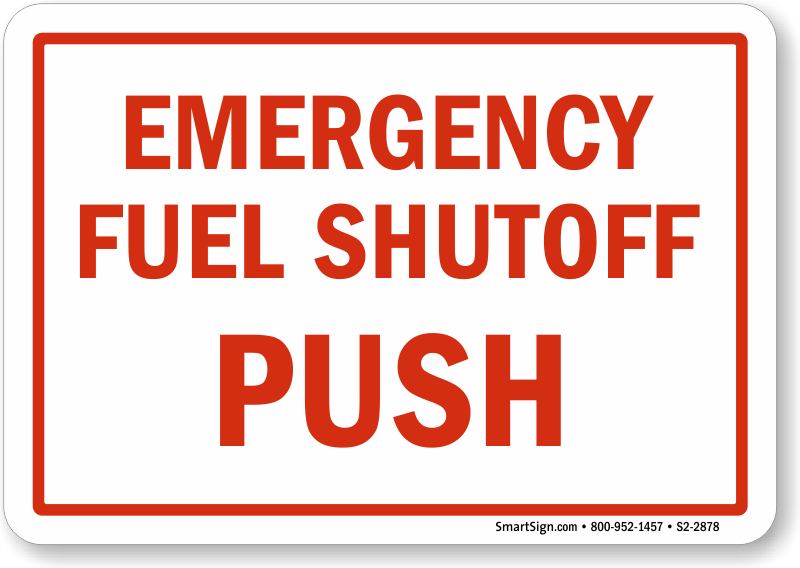 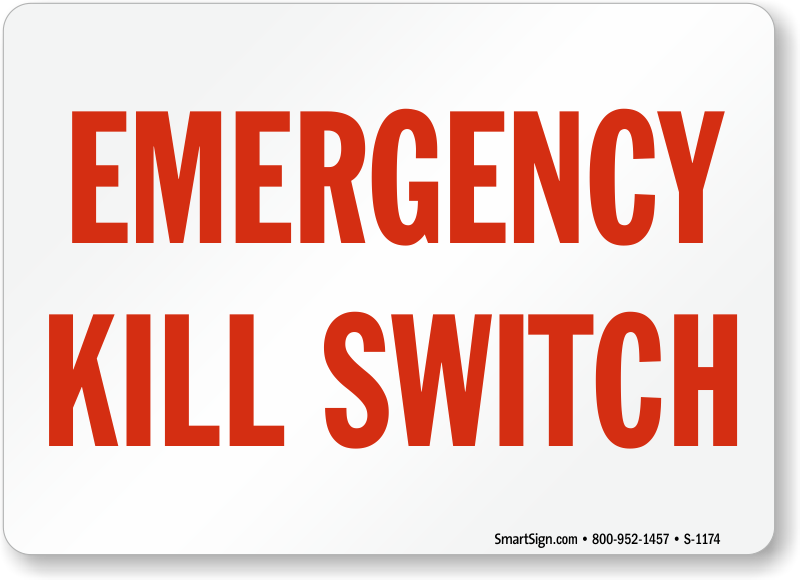 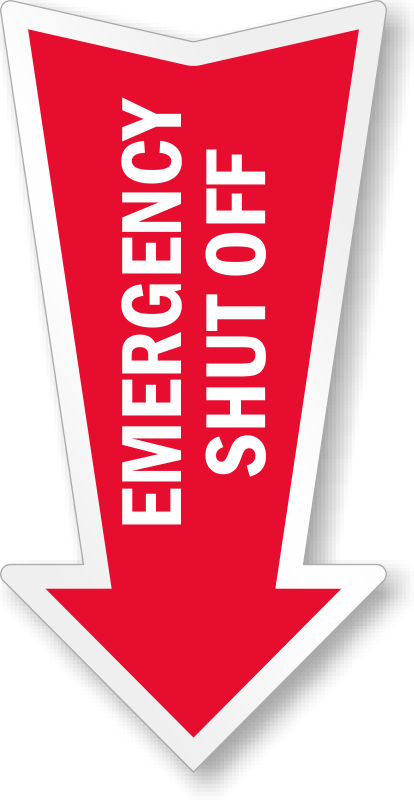 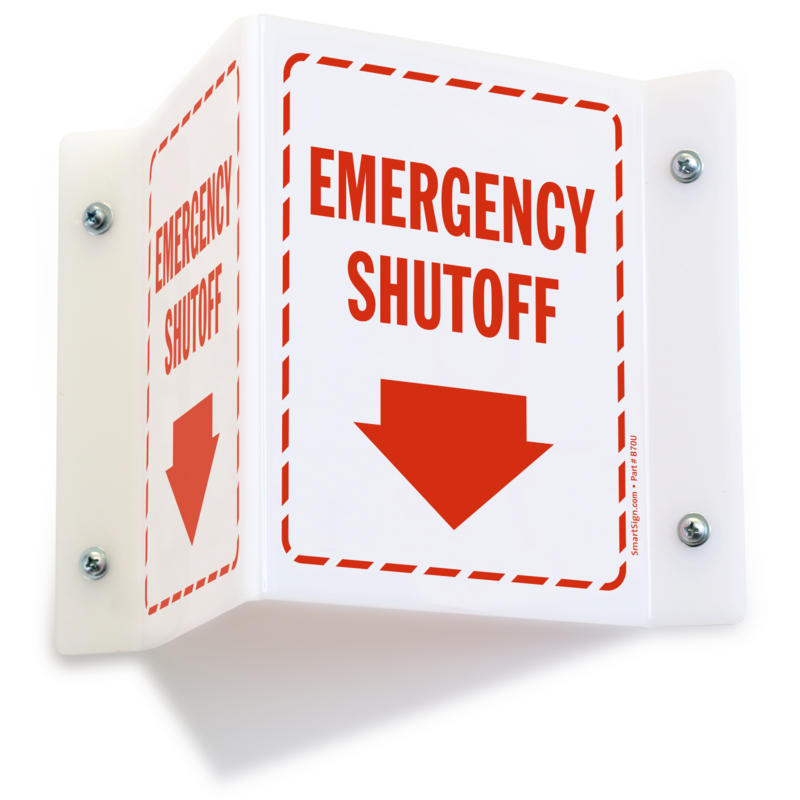 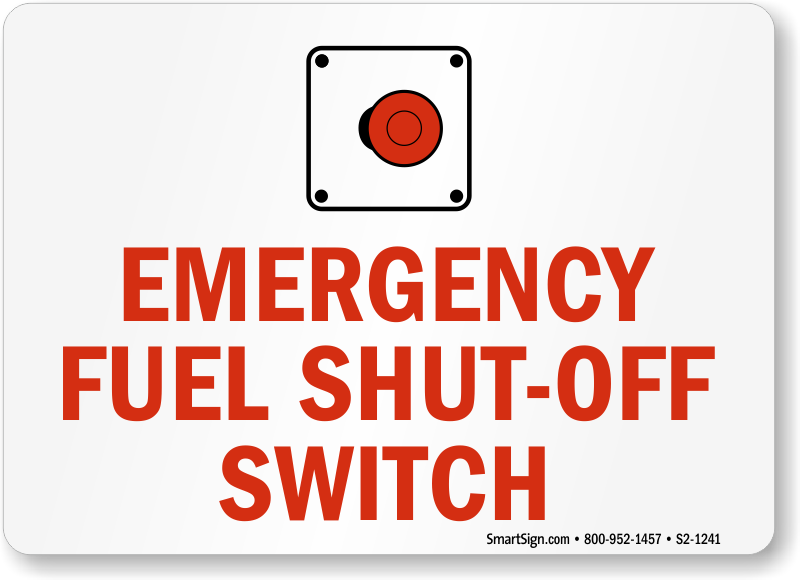 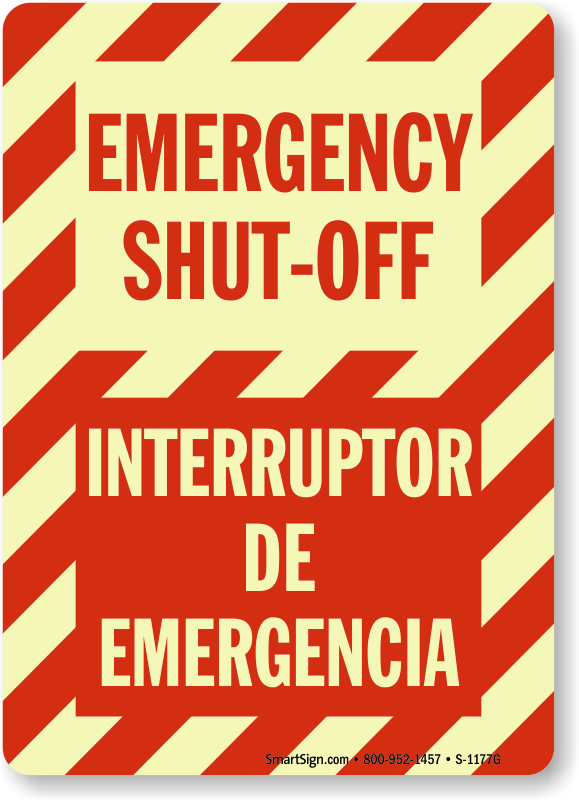 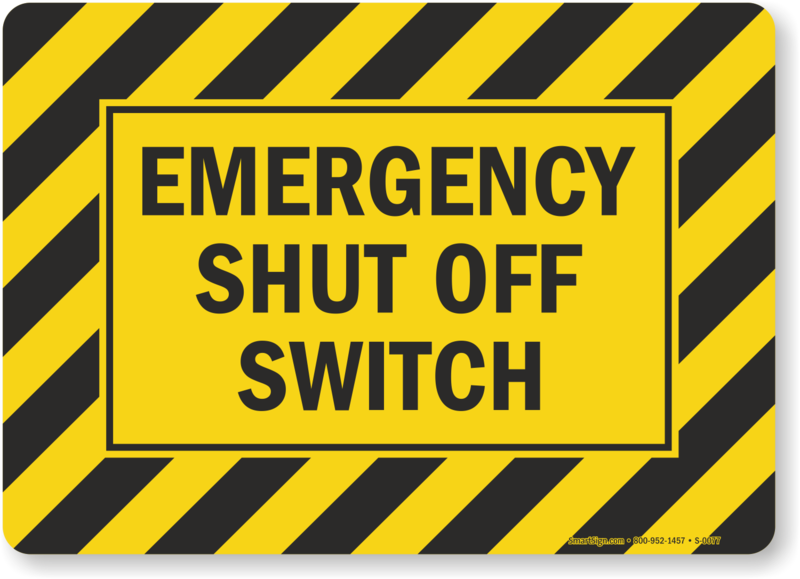 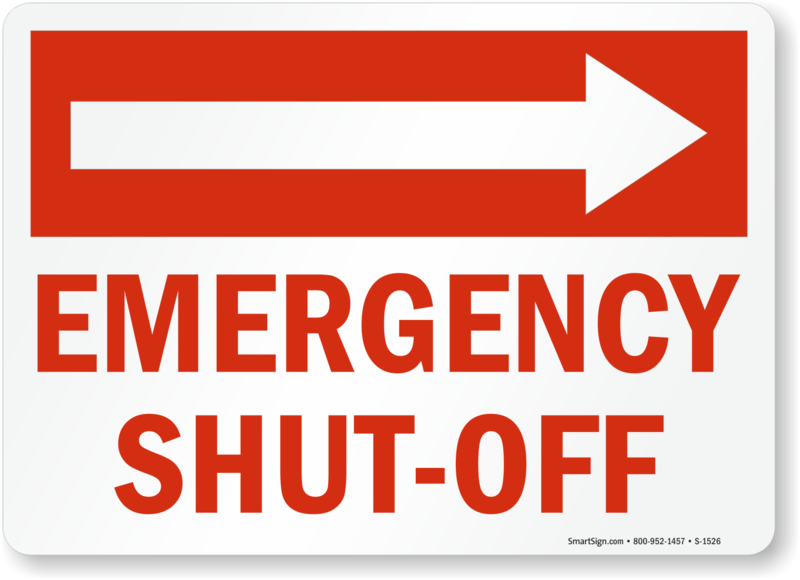 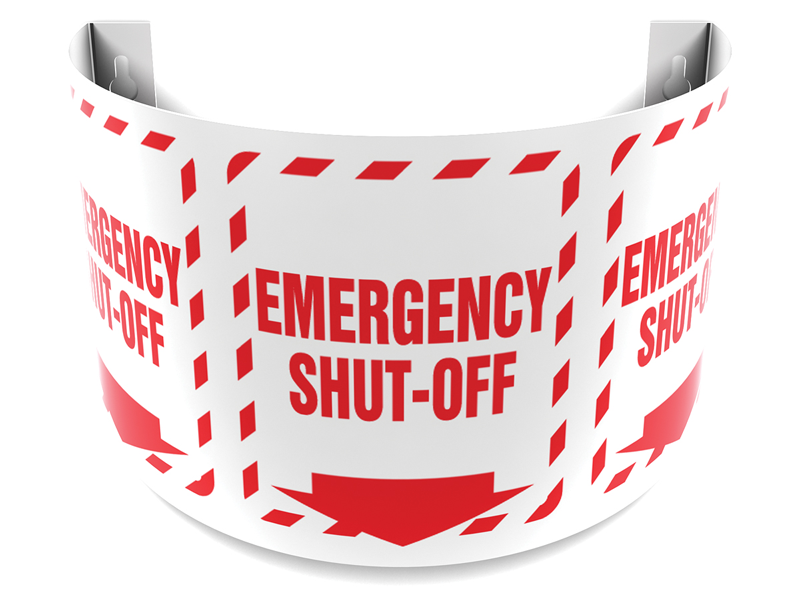 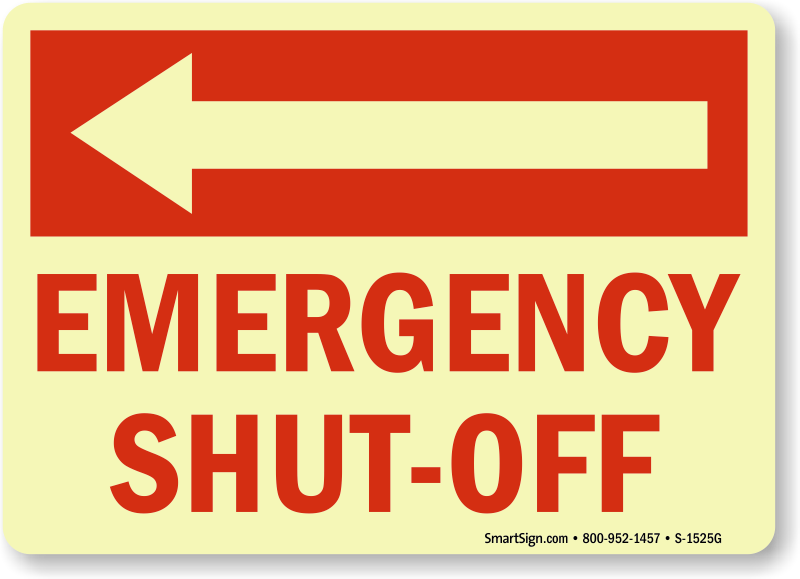 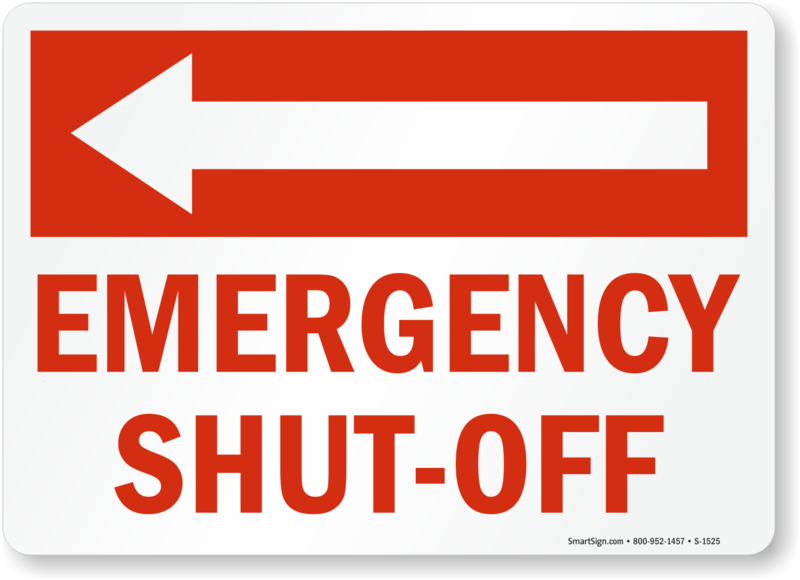 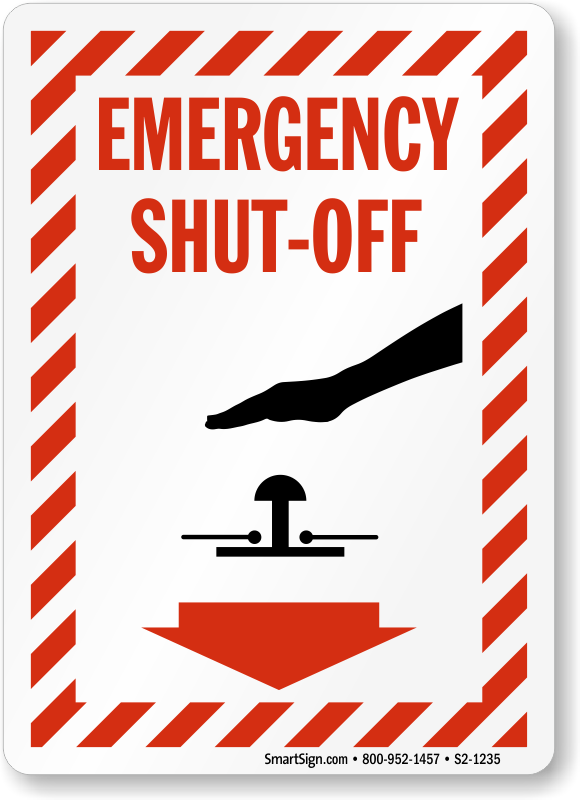 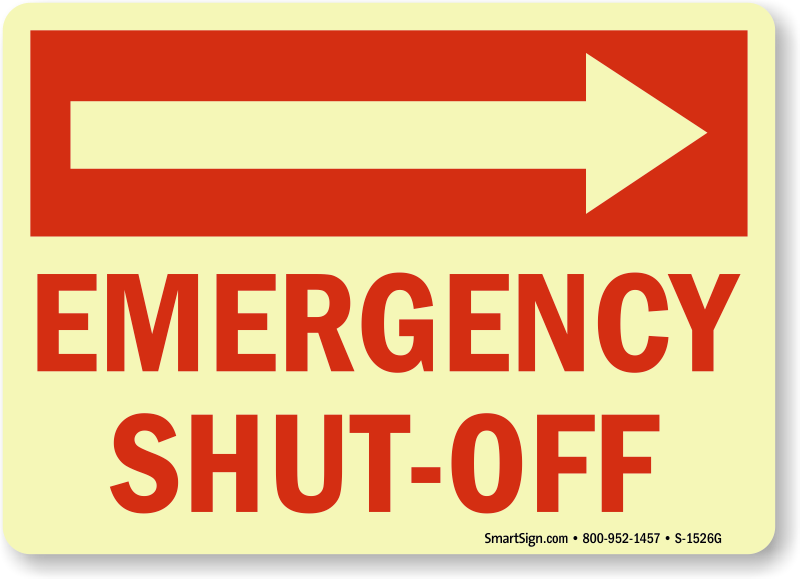 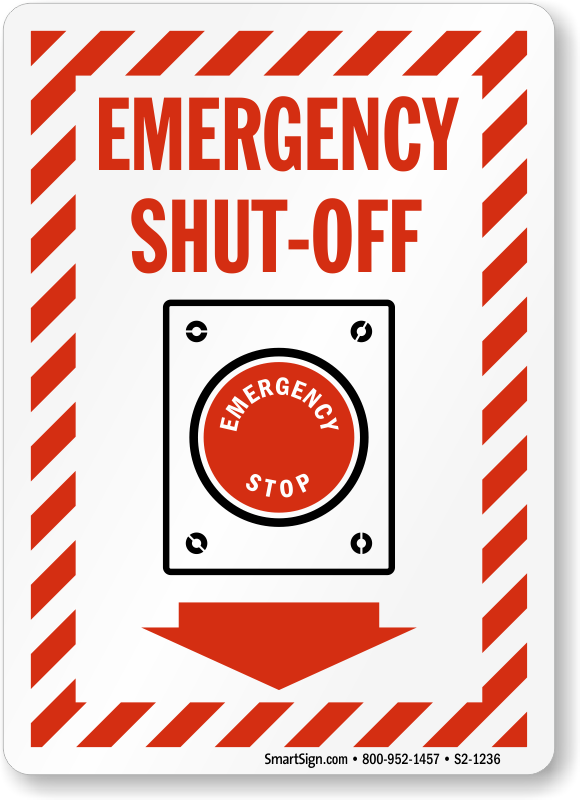 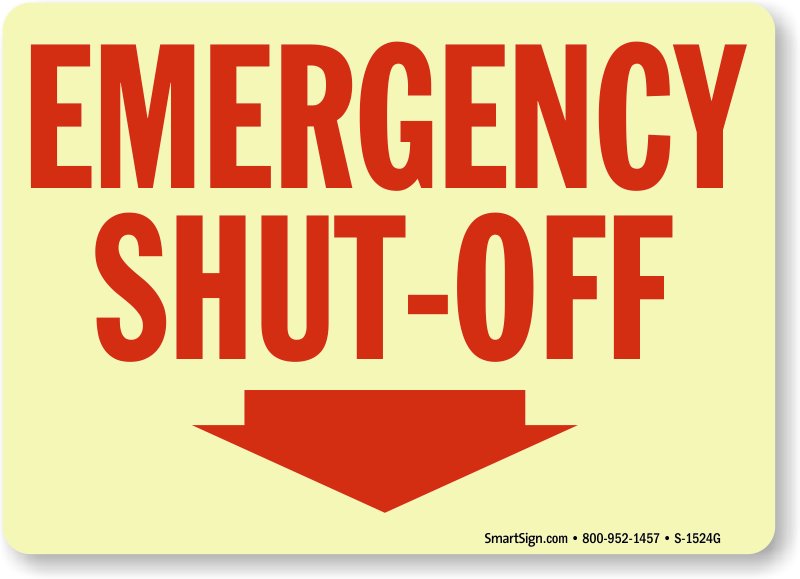 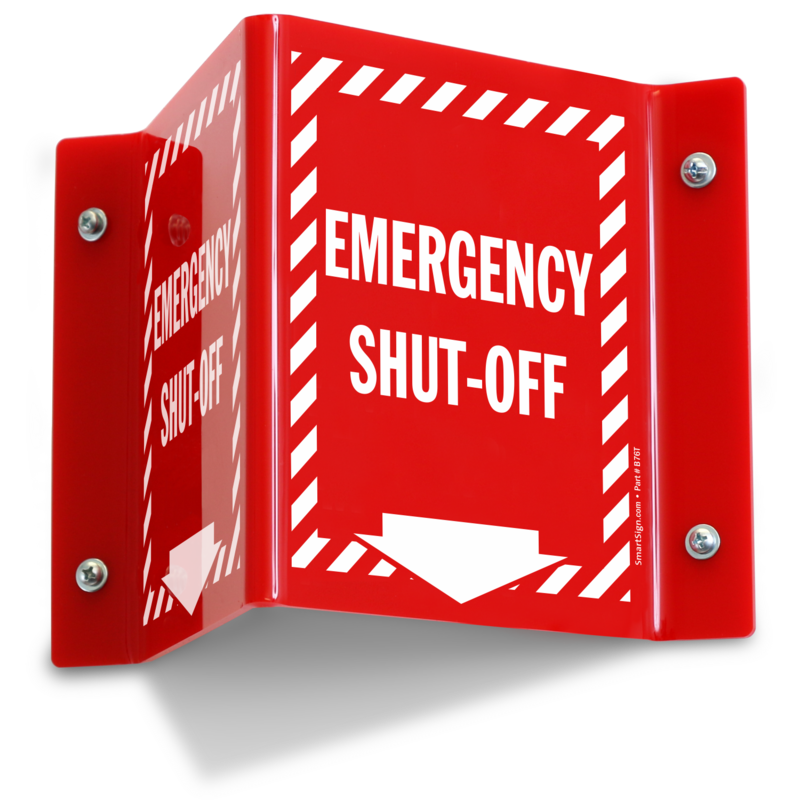 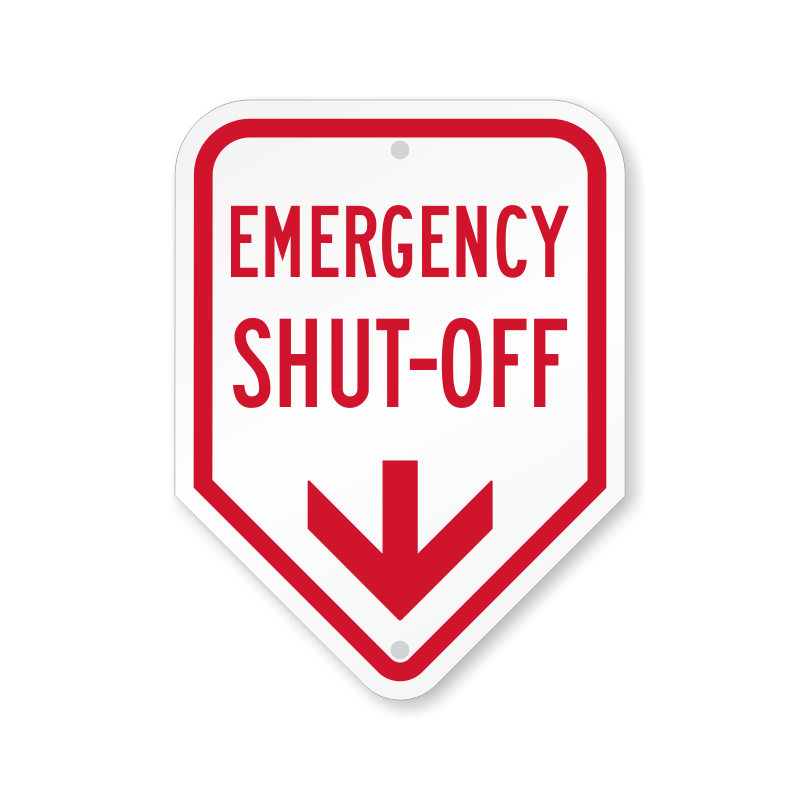 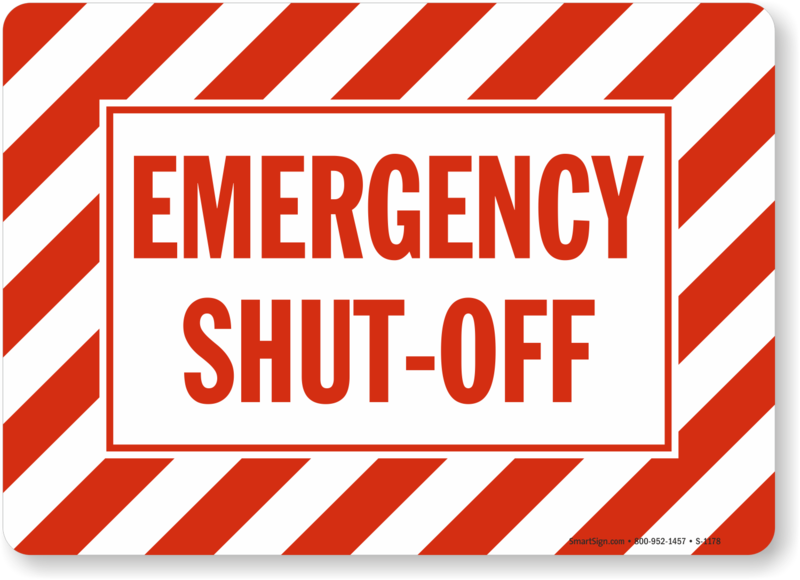 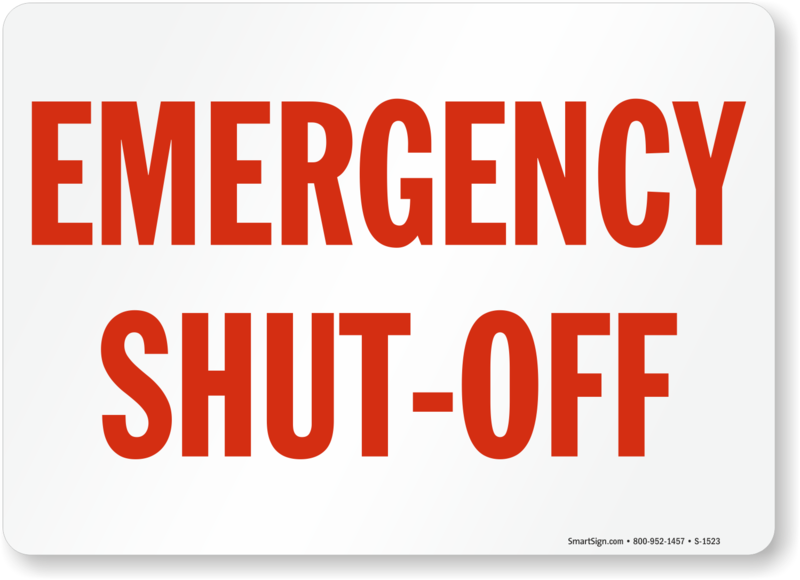 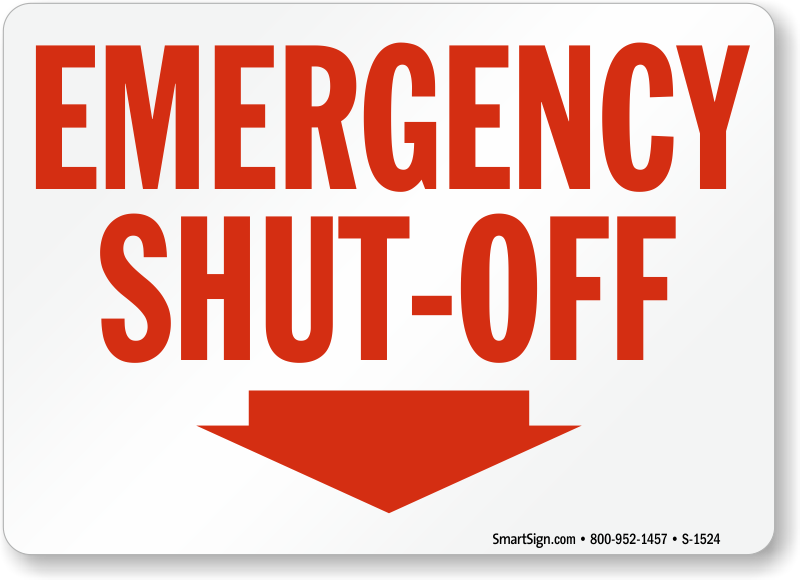 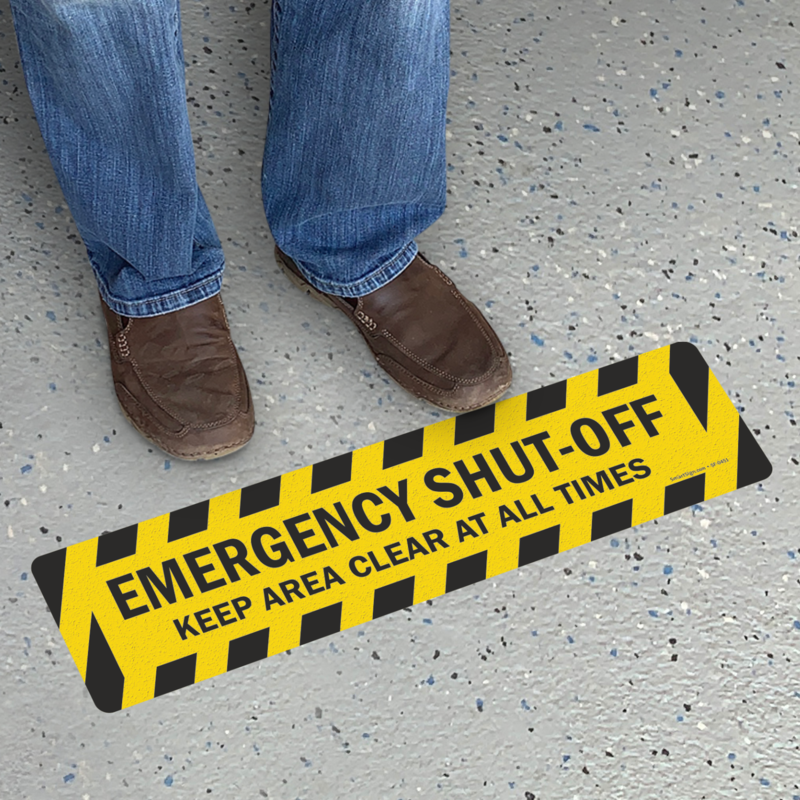 Avert a potential disaster with the help of Emergency Shut Off Signs. 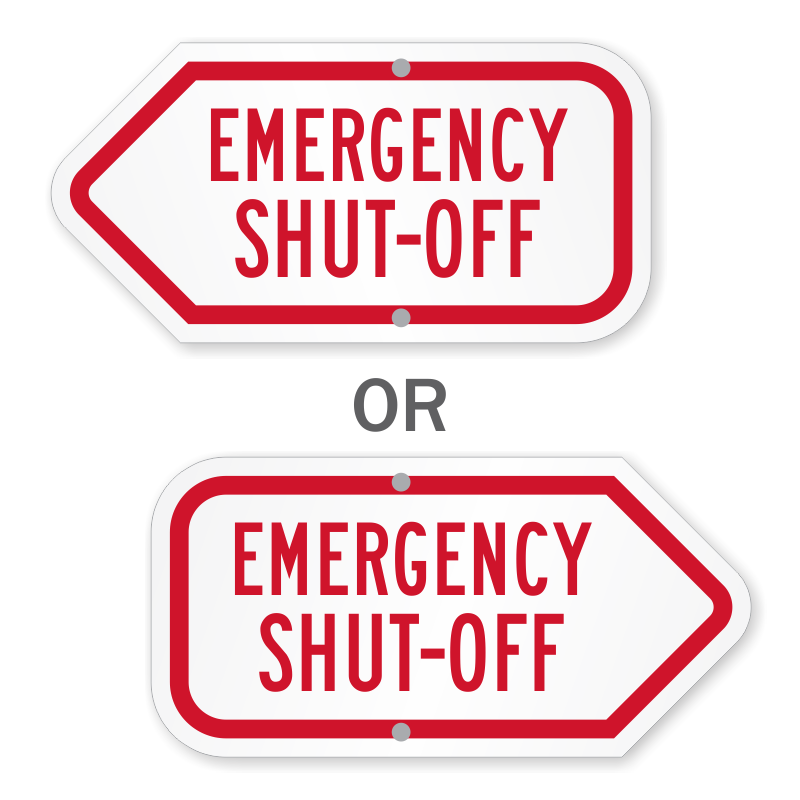 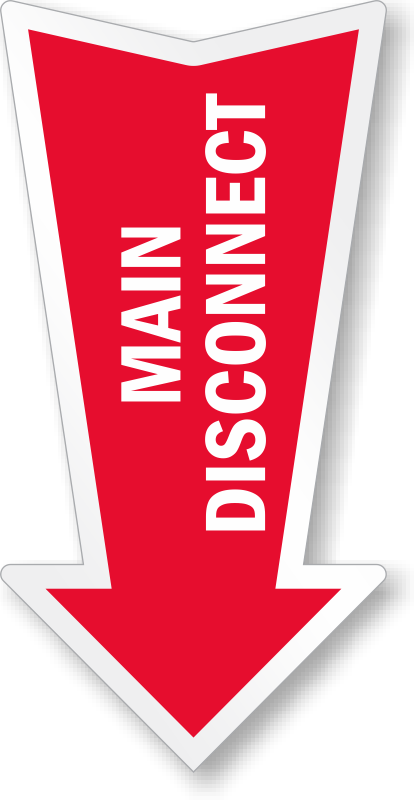 • Pick a standard design or get more specific with Electric, Gas, Water, Sprinkler Shut off Signs. 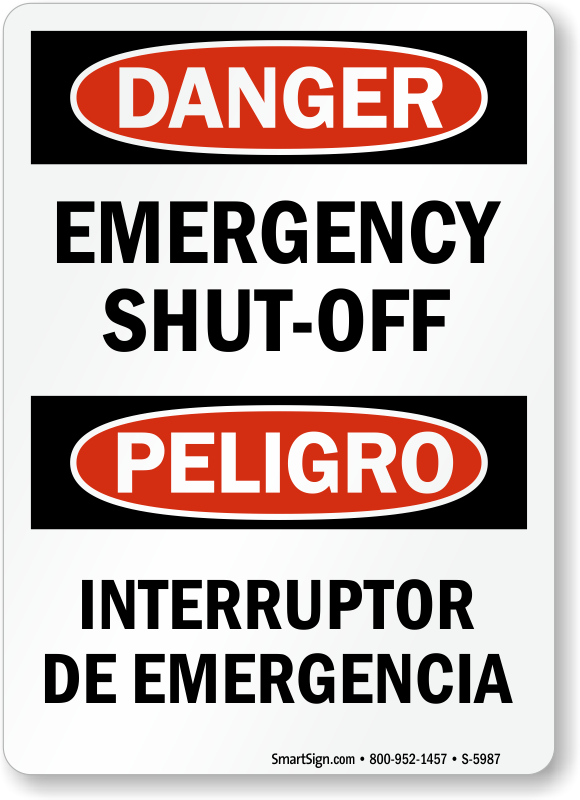 • Signs and labels material include plastic, vinyl and aluminum. 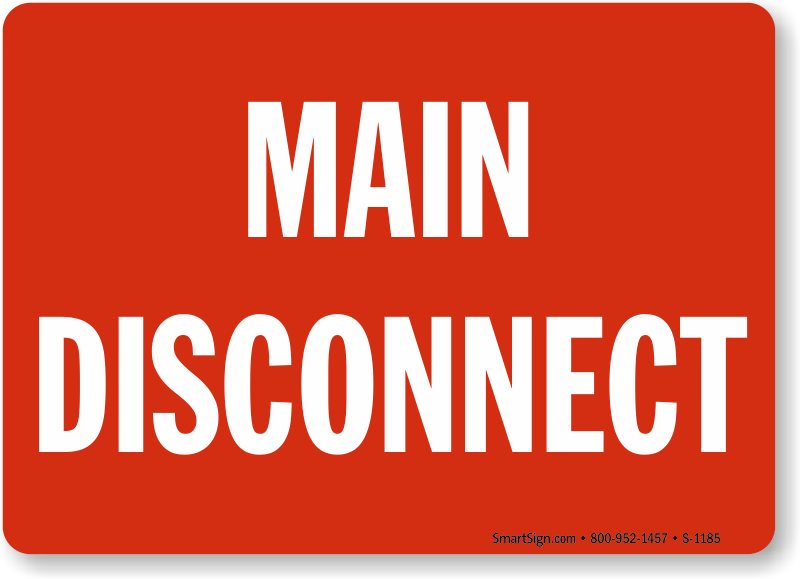 • Can't find the sign you are looking for? 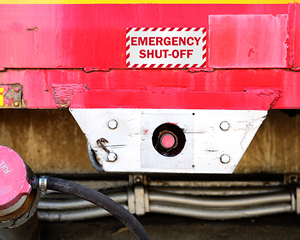 Just call our toll free customer service line, we'd be happy to help. 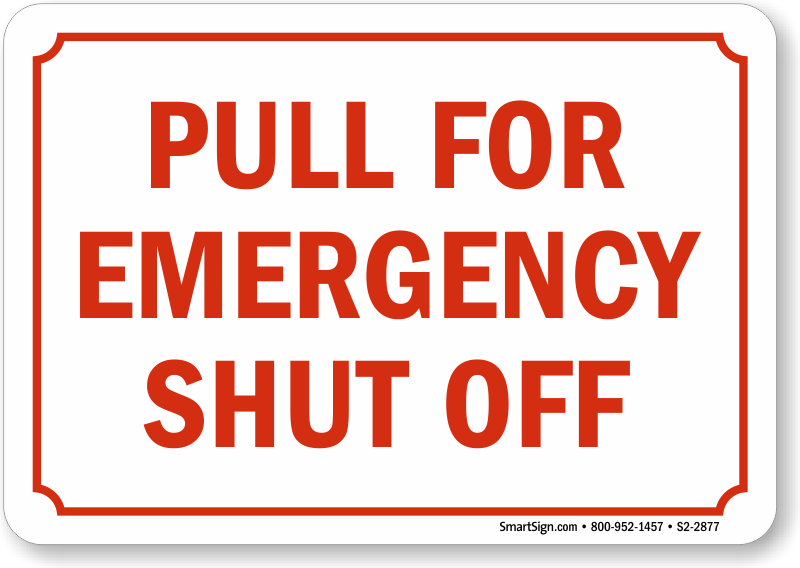 Good quality ,great clear lettering.